I was honoured to be asked to take part in Toronto's Group Action Initiative for the Inside Out Project. This was a very proud moment for me and a beautiful experience. 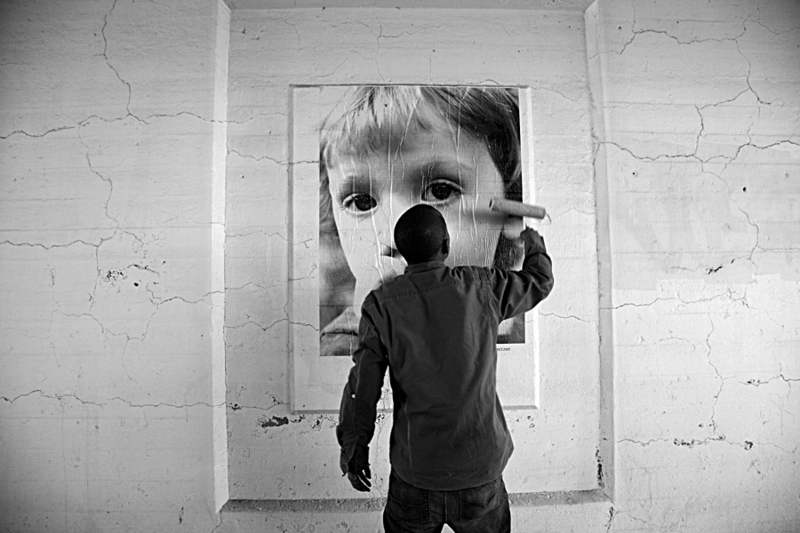 The Inside Out Project is a large-scale global art project that turns messages of personal identity into pieces of artistic work. It hopes to share the untold stories and images of regular people all over the world. 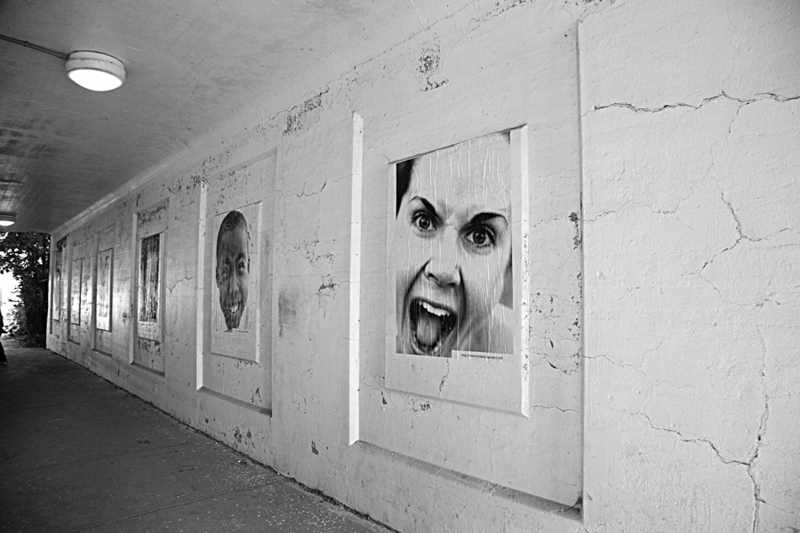 This is how it works: Participants upload their portraits, the portraits are printed out poster-size and then mailed back for the participants to post anywhere they want in their communities – an office window, the wall of an abandoned building, an overpass. You can participate as an individual or as part of a group, but the Project prohibits promoting a brand, product, or organization through the posting. The focus is really on individuals and personal statements, which is refreshing and unique for such a large-scale project. The Inside Out Project also asks that participants document their postings and upload those images and their accompanying stories to the website for the rest of the world to see. Want to become part of the Inside Out Project? It’s as easy as uploading your portrait. See the images in Toronto in different parts of the city including: Regent Park, Eglinton West, Kensington Market, Queen West, Shaw Street, Parkdale, Liberty Village, Eastern Avenue, Jane and Finch, Rexdale and more. Special shout outs to Che Kothari, Ashley McKenzie-Barnes, Shaka Licorish, Celeste Palanca, Seema Jethalal and the rest of the team. 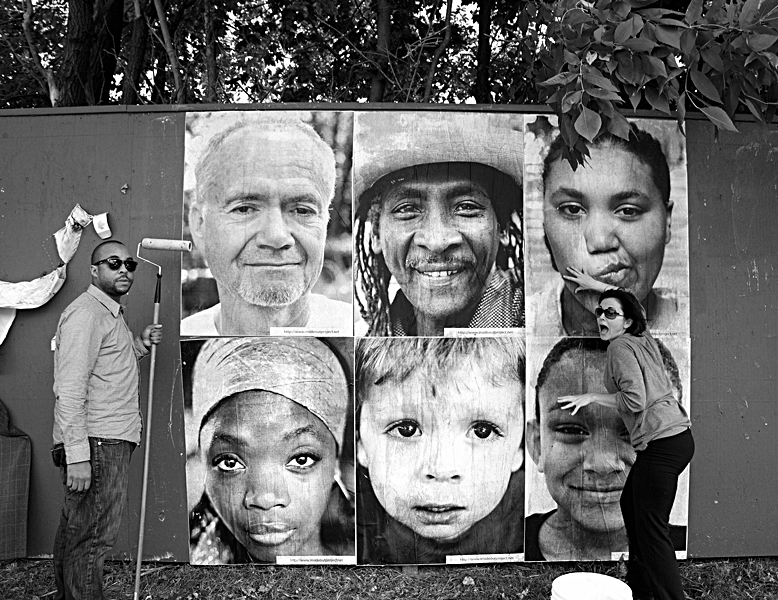 Big Big thanks to Alvin and Scott who helped me wheat paste my photos. It truly meant a lot to have your help and support. Photos courtesy of: Anna Keenan, Scott Clyke and Alvin Merchant.